It's no secret here that I am a huge fan of a city break. I try and squeeze in 3 or 4 a year - I find that they're the perfect way to feed my travel buzz without having to take weeks off work or spend too long on a plane. I have two city breaks coming up in the next fortnight - we are off to Paris tomorrow and then we're going to be exploring Rome in a couple of weeks. So I figured that now was a pretty good time to share my ultimate tips for how to plan a city break on a budget. I've split it up into a couple of sections to make it easier to read - I hope you find it useful! Sam and I usually choose where to take our city break based on where we can find the cheapest flights to. I think the best ones we've found so far were the £30 return flights to Oslo - pretty incredible when you think a return train from Leeds to London usually costs around £125! I find that the best way to find cheap flights is to use the "everywhere" function on SkyScanner - you basically input your dates and your departure airport and leave the destination wide open. It then shows up all of the destinations available on your dates in ascending price order. We booked flights to Lisbon, Oslo, Copenhagen and Milan as a result of this function and return flights to all of these places set us back less than £50 each. I have two websites I usually fall back on for accommodation: Airbnb and Booking.com. Both have their merits and I usually do a quick search of both to determine which seems the best fit for the location. I've found that in most places Airbnb is still way better value for money than any hotel. In New York for example, we were paying £100 a night for an entire apartment, vs £150 a night for a tiny room with no windows. Plus it often allows you to stays in cooler, less touristy areas. I've got a whole post on tips for using Airbnb here. However, in Oslo and Copenhagen, the Airbnbs we were looking at seemed pretty pricey and we managed to find a decent hotel for a better price, so it's always best to check Booking.com too. You can guarantee that whenever we book a city break at least one person will tell us that "it's very expensive in Milan/Reykjavik/Copenhagen/Paris!" It's true that if you were going to eat at every tourist hotspot and never wander off the beaten track that city breaks could drain your bank balance, however, they certainly don't have to if you do your research. Use TripAdvisor or travel blogs to find places to eat that are tasty and inexpensive and if you like a drink, try and find out whether there are any famous happy hours (most places in Reykavik will have deals on between 4 and 7pm for example). Another good tip is to find out where the student area is - you can usually find lots of cheap and fun places to eat and drink, and often the area is a little more laid-back than the centre of a city. One last tip is to think about pre-booking for any big tourist attractions or excursions. I wouldn't recommend this for every city break as sometimes it's just nice to wander and see what you find, however if you know there are certain things that you definitely want to see or do then it's worth having a look to see if there is a discount for booking in advance. For example, the first time we went to New York we bought City Passes - these allow you to visit 6 different attractions for $116. They were all places that were on our list anyway so it was really good value, plus it meant that we saved lots of time queuing for tickets which is good when you only have a few days to explore somewhere! 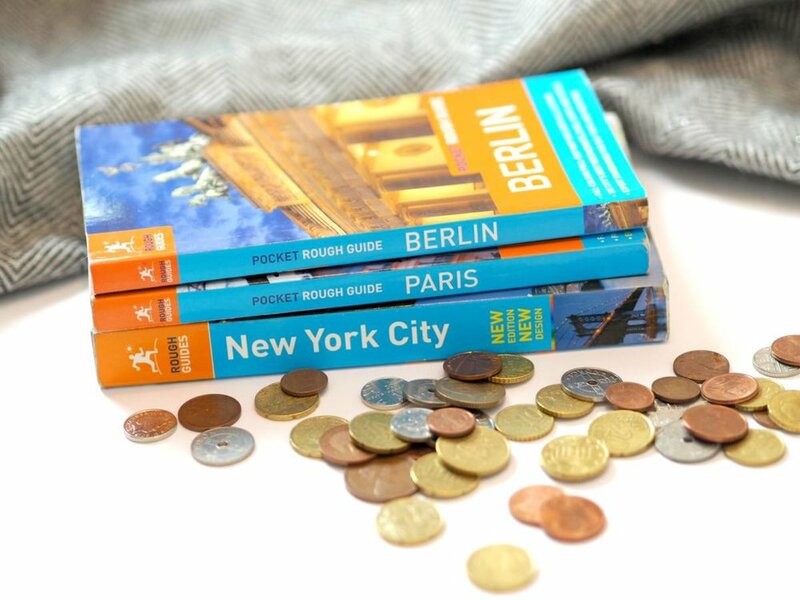 So those are my tips for planning a city break on a budget... Do you have any that I've missed! ?